Family, reading, computers, TV - and of course, fishing! GA Fall Fish-in -- Results On one hand, we had a great turnout -- our largest group in recent years. Besides myself, we had our usual group, John, Tony, Dustin, Daniel and Tanya, and Bojan. We were happy that David and Lance were able to make it again this year after missing the last several fish-ins. Lance also brought his son, Wylie and Wylie's friend, Riley. We were also joined by another fine young carp angler, Jesse, whose dad drove him 90 miles to fish with us. Unfortunately, the weather would not cooperate. This is a fairly shallow lake that fishes much better under cooler conditions. But this weekend, we faced unseasonably hot weather for early Fall, with temperatures still in the 90s. At the same time last year, the weather had been much cooler for at least two weeks. No such luck this time. 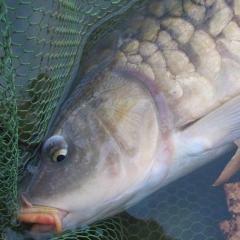 The carp also refused to cooperate. John and I arrived on Friday to pre-bait and to fish. After pre-baiting, I managed to catch one small common (along with 4 turtles). When we all fished on Saturday, I managed one more small common fairly early, but the rest of the day, there was only one more carp landed. While Dustin was packing up his gear and in the parking lot, he had a run on one of his rods, which Bojan caught for him. Those were the only two carp caught all day. Of course the results were disappointing, but given the unseasonably hot weather, none of us were really surprised. We've had better days there, and I expect we will again. The lake has traditionally fished well in the spring, so I'm sure we'll try again next April, before the weather gets hot again. The fish-in is less than 3 weeks away. Email reminders were sent out to everyone on my list. If you didn't get one, I don't have your email address. If you're interested in coming, feel free to email me at bshildn@yahoo.com if you need info. The first day of Fall is Saturday, September 22nd, so let's have a fish-in. Salacoa Creek Park, Ranger, GA (Gordon County). As usual, I'll be there on Friday to pre-bait (and to fish). So if anybody wants to join me a day early, please do. If anyone wants more details or directions to the park, PM me -- or email me (bshildn@yahoo.com). I'll probably post updates as the date gets closer. I'm sure that there are a few of us here in Georgia who would attend at least one TN fish-in - if not more - particularly if the venue is in eastern TN -- or maybe central. Interstate 75 provides fairly easy access to a number of possible venues on the Tennessee River system, and I-24 opens up several others to the west (e.g., Nickajack, Tim's Ford) that are from 2-1/2 to 3-1/2 hours from the Atlanta area. PLEASE NOTE !!! The GEORGIA SPRING 2018 FISH-IN has been cancelled (or postponed ?) until further notice. With a light turnout already expected, plus a very unfavorable weather forecast that would have deterred some of the few who had planned to come, I decided to cancel the event for now. 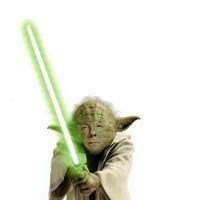 If and when I find a new date, I will post it here and on the CAG Facebook page. Location: Salacoa Creek Park, Ranger, GA (Gordon County) Date: Saturday, May 5, 2018 Time: Park opens at 7:00 AM Everyone is welcome, both CAG members as well as guests. But please let me know if you plan to attend. I'll be cooking hot dogs for lunch, and it helps to know how many people to plan for. THANKS! The carp fishing here is usually pretty good in the spring. Although the fish average on the small side, there are plenty of them in the lake -- including lots of mirrors. However, we do sometimes catch a few double-digit carp, and a 20 pound fish is caught now and then (but those are rare). I hope to see you there! For details, please click on the event posted on the CAG Calendar on May 05 This will again be held at Salacoa Creek Park, located in Gordon County in northwestern Georgia. It is not a competition, it's a "fish for fun" event, and everyone is welcome. You do not need to be a CAG member to attend. The location, just 11 miles off I-75, makes it possible for anglers from parts of several other nearby states to attend if they wish (just remember that a valid GA license is required to fish -- available online). If you have any questions, PM me through this Forum or email me at bshildn@yahoo.com I hope to see you there. I sent mine several hours ago. I pretty much used your letter, but added a few comments of my own, including -- where you said, "Where you find trophy sized carp you will invariably find trophy sized bass, pike, walleye and other species. ", I added as an example of carp and other species co-existing well, that a few years ago there was a new TN state record largemouth bass caught in Chickamauga Lake, part of the Tennessee River that has long been recognized as trophy carp water. I also said that some day I hoped to "be able to cite the new CT regulation (as it exists) to the legislators in my own state, as an example of a reasonable, fair-minded, and forward-thinking regulation". See http://georgiawildlife.com/fishing/anglerawards for full details about the Georgia Angler Awards program. I know that many of you, myself included, don't really care much about being "officially recognized" for catching a good fish. For me it's mostly just a matter of personal satisfaction when (if) everything comes together, and I manage to catch a nice carp now & then. 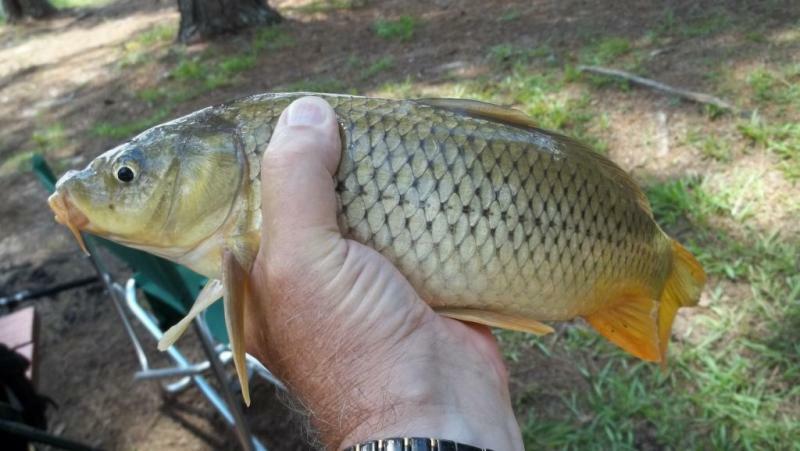 HOWEVER -- as Iain recently pointed out to me, if more and more carp anglers would report their catches of carp through their state awards program, perhaps the state agencies would take notice, and then they might start paying more attention when one of us makes a request or a suggestion. Many states have awards programs that include carp. Here in GA, a "kept" (killed) carp must weigh 15 pounds to be entered. But the program also allows RELEASED fish to be entered, and carp -- both commons and grass carp -- need only measure 31" to qualify for an award. The web link above gives complete details and also has a link to the official entry form. While I do encourage you to enter your fish -- if only to help demonstrate to the DNR that Georgia does have a large contingent of carp anglers -- I would also suggest that you be careful that the photographs you submit do not give away the location. You never know when the bowfishers might be checking those pictures to look for new spots to shoot. John -- I'm texting you a photo of a "grass fly" that a guy I met on the bank was using to catch grass carp at a local pond. He noticed the grassers slurping blown-in grass on the surface when the maintenance guys were mowing near the bank, so he tied a fly that resembles a few blades of grass. I was carping at Lake Lanier several years ago when I met a fly-fishing guide and his client who were chasing carp in some of the coves near the spot I was fishing. During our conversation, he mentioned that he sometimes competes in fly-fishing carp tournaments on several rivers in TN. Maybe your contact is involved with that same group of anglers. Georgia has changed a lot since I first came here in 1965 for college. But then again, what hasn't changed in 50+ years? You should come back down for a visit sometime. It's "only" about a 600 mile trip to Atlanta from Morgantown. Seriously, if you ever do plan to come down this way, let me know. Maybe Cannonball (the new TN state chair) and I can plan a joint fish-in.